Anna and Esen arrived in September 2015 to continue their education in France in first year of High School and then expressed their wish to continue their adventure for another year to obtain their general Baccalaureat in France. They took the tests in June in their respective academies (Nantes for Anna, Lille for Esen) and have been eagerly awaiting their results! Anna, a young Chinese girl, obtained her Scientific Baccalaureat with a commendation of “above average” (with an average of between 12 – 14 marks out of 20). As for Esen, a young Turkish girl, despite a brilliant school year she had to re-sit some of the exams but eventually also achieved her BAC. Congratulations to both of them, now returning to their respective countries with the Baccalaureat. 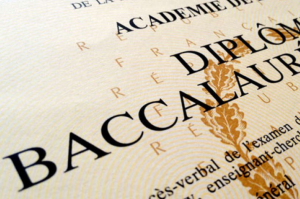 Congratulations also to all of the students who took the French BAC this year.